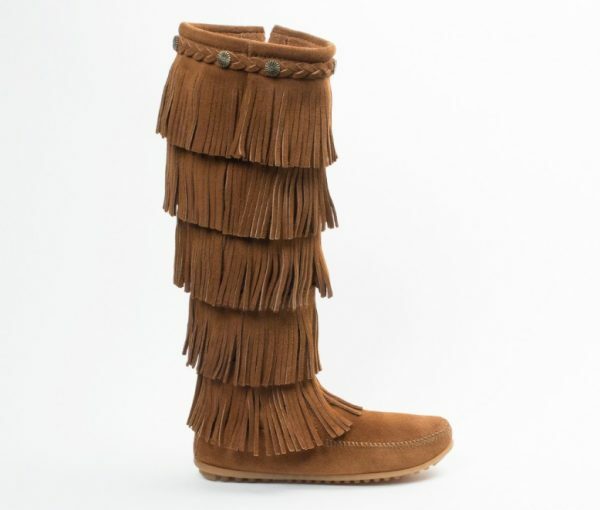 Take things to the next level with five layers of fringe that simply dance while you step. These boots are our fringy-est. 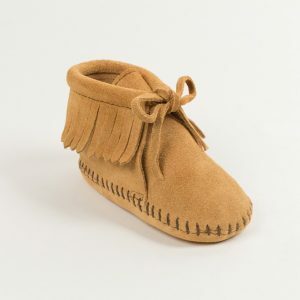 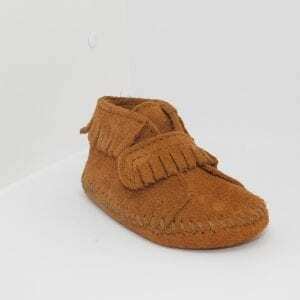 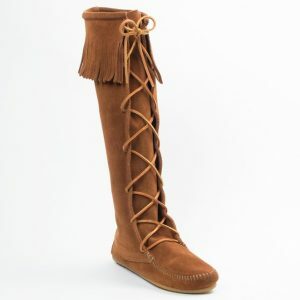 Handmade from high-quality suede, these women’s boots are buttery soft. 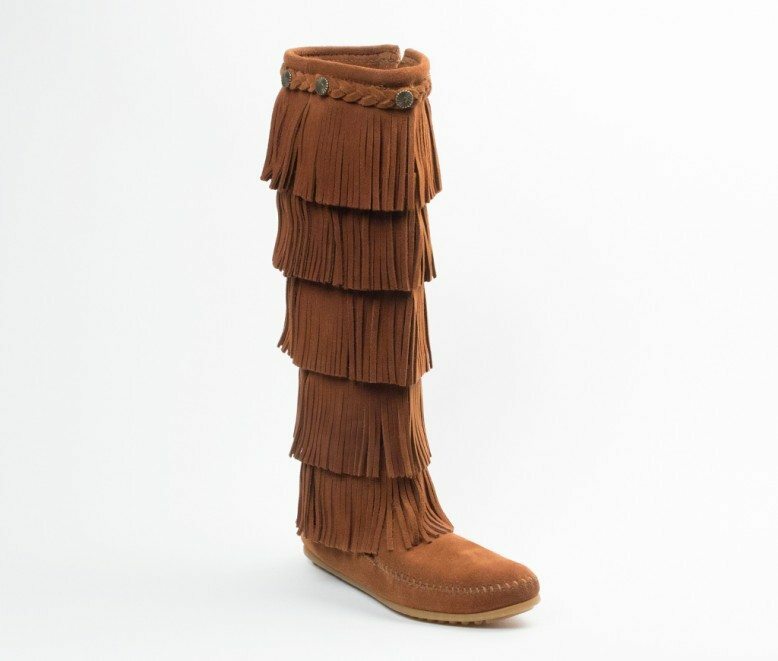 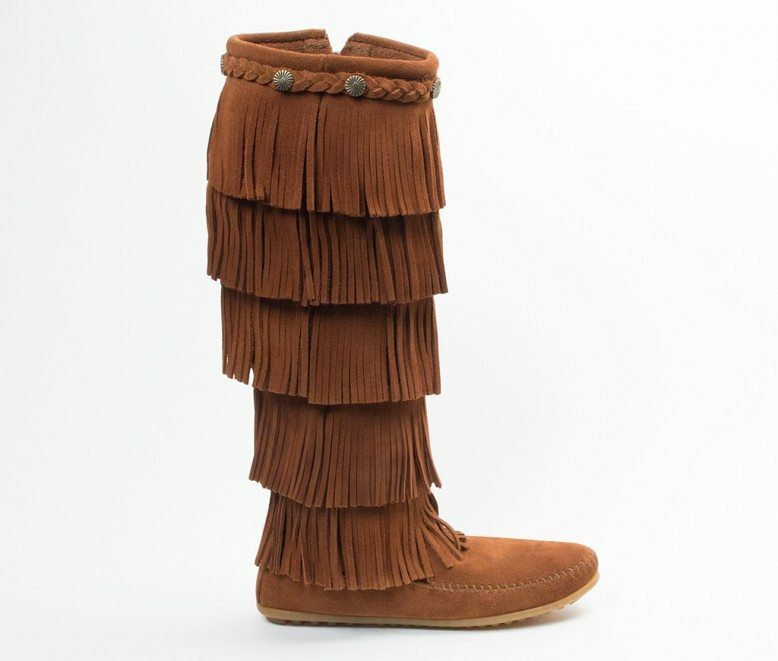 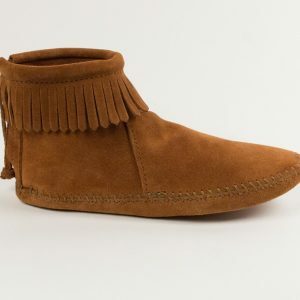 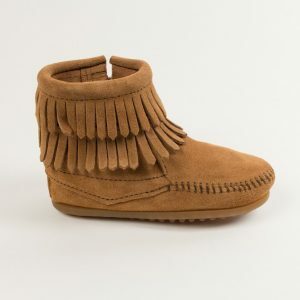 Subtle decorative braids and antique-metal conchos surround the tops of the fringe boots. 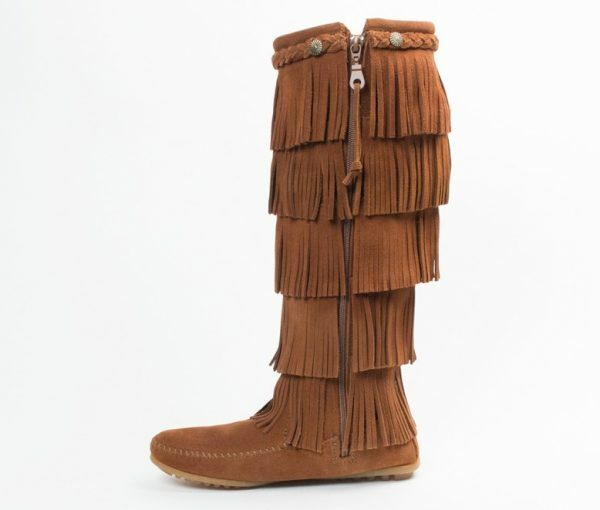 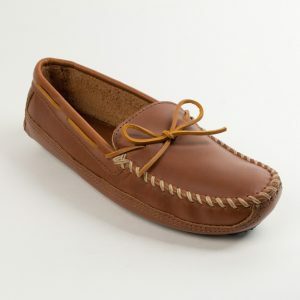 They’re the perfect pop of boho flair for any basic ensemble, perfect for festivals or any adventure.